Resort campgrounds are nice and all. 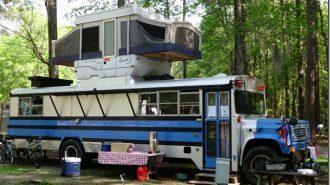 But for many campers, you’re not really going RVing unless you’re going off-grid. Finding the perfect spot to hunker down in the wilderness is an amazing way to disconnect from reality and all its stresses… not to mention saving cash on pricy campsite accommodation fees. 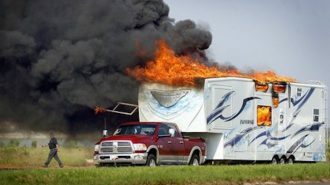 Of course, those campgrounds cost money for a reason. Boondocking, or dry camping without hookups, is a little bit more rugged than chilling in a developed park, sucking up shore power and unlimited water. But for all its challenges, many campers find boondocking is the very best form of RVing there is: an opportunity to find quietude and stillness, and to reconnect both with their family members and with nature. 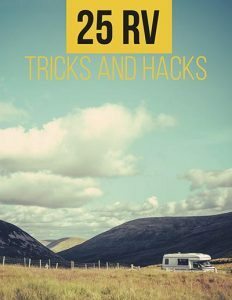 Even if you’re a total RV beginner, boondocking is well within your capabilities. Tons of campers head out into the wilderness every single day! 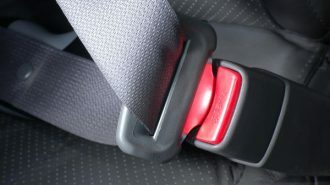 But there are a few things you should know before you head out, as well as some tips and tricks that’ll make the whole process easier. For example, how do you find boondocking sites in the first place? 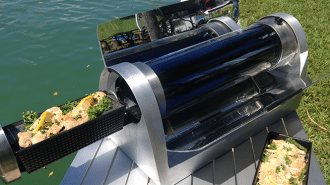 What equipment will help make the off-grid life more comfortable and sustainable? And what about running your generator — is it worth it? 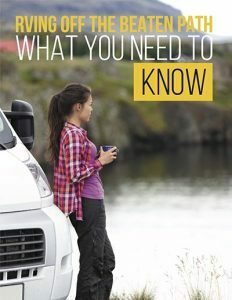 In this boondocking guide, we answer all those questions and more. So read on if you’re ready to get out there in the wild! So, what exactly is dry camping, and why is it called “dry”? As mentioned above, dry camping, which is popularly known as “boondocking,” is any camping situation where you’re not connected to electricity and water hookups, and thus have to rely on your motorhome or travel trailer’s on-board systems to supply those resources. 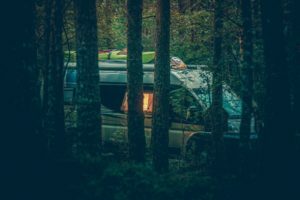 Boondocking in particular implies getting out into the woods somewhere; you can dry camp in a Walmart parking lot, but most campers probably wouldn’t call that boondocking. There are also other spins off the term, such as “moochdocking,” which is where you dry camp in a generous friend or relative’s driveway, for example. Dry camping gives you unparalleled flexibility and freedom. With few exceptions, you can take your RV to any public lands and find a beautiful, untouched vista — and make it your front-window view for a night or five. The trade-off, of course, is living without hookups, which can create certain challenges, but is totally doable, especially if you’re used to tent camping. Along with the potential to get away from it all, boondocking has another very important perk that many campers find attractive: it’s often totally free, or otherwise insanely cheap when compared to per-night prices at resort-style campgrounds. 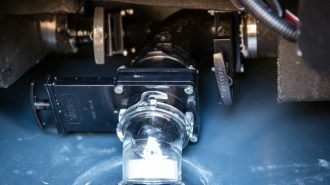 Because most modern RVs come with self-contained plumbing systems that supply fresh water and handle waste water until it’s time to dump, you can stay off-grid in your RV without worrying about having a water supply or sewer hookup, at least for a while. 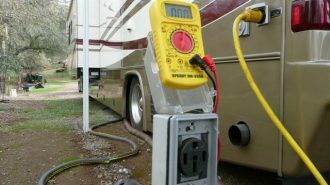 If you can’t live without your electric devices, no worries: most RVs come equipped with a generator to create electric power even when you’re far away from hookups, though they do come at the cost of burning liquid propane gas and generating a whole lot of noise alongside the electricity. 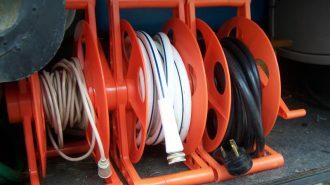 We’ll go into more depth on the best ways to extend the life of your water supply, as well as optional accessories that can make your boondocking trip easier and more comfortable. But for now, let’s start by finding a place for you to go in the first place! So… How Do You Find Free Camping Spots? Even if you’re totally sold on the boondocking travel style, you may be at a loss when it comes to how to find free places to camp. 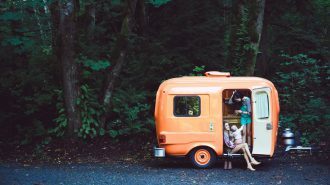 Depending on where you are in the country, free RV parking might be really easy or a little bit challenging to come by — but if you know how to look, you can find free RV campgrounds nearby just about any destination. One of the best resources is the Bureau of Land Management, which is often abbreviated as BLM. This government agency, a branch of the U.S. Department of the Interior, manages vast swaths of land that’s neither privatized nor managed by state or national park organizations. In most cases, it’s totally free to camp on, provided you obey posted rules and regulations about campfires, pets, party size, and the length of your stay. Another government agency that manages unowned lands is the United States Forest Service, or USFS. Again, many of the land under its jurisdiction is open to dry or “dispersed” camping, though you will be subject to certain restrictions. Along with scoping out the maps and checking with these agencies directly, you can also check out the following websites and mobile applications put together by other boondockers and campers like you. They can help you discover some of the best hidden gem camping spots in the country… but there’s also something really magical about discovering one for yourself out of the blue. 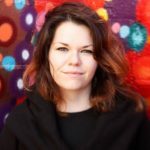 Free Campsites: This tool might not be the most state-of-the-art, up-to-date website on the internet, but it makes up for any lack in aesthetics with ease of use and bounty of information. Just enter your preferred destination area, and you’ll see nearby free campsites populate along the right-hand side of the screen, along with user ratings and other helpful information to help you make an informed decision before you get there. 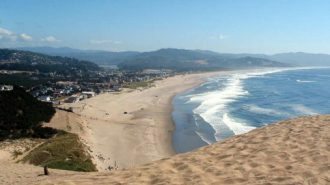 It also has a helpful symbol key that will let you know which of these spots is large enough to handle RV camping, as well as information about bathroom facilities, pet allowances, and other critical details. Campendium (app for iPhone and Android): This convenient app lets you search by state to see nearby boondocking sites on BLM, USFS, and other public lands. 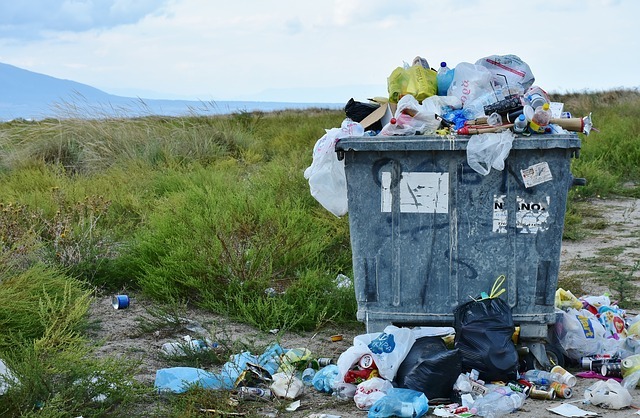 It features convenient filters to allow you to search for only free sites, for instance, or those that have some limited amenities like a dumping station. 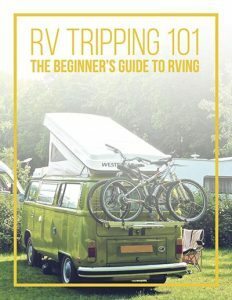 Ultimate Campgrounds: This resource, with information on over 35,000 campgrounds across the U.S. and Canada, states its mission as “providing the most comprehensive and most accurate information about public campgrounds of ALL types.” That includes boondocking — but it’s also a great spot to check if you’re looking for some new-to-you traditional, developed campgrounds to check out! State and even national parks can also offer an affordable alternative to traditional resort-style camping, though you may spend $25 or more per night. 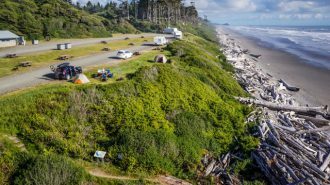 Still, these options are a good middle ground for campers who’d like access to some amenities (many of these sites have restroom facilities, and some even have hookups) while still saving money and camping in a mostly-untouched, natural place. The most important thing to remember is that just because land looks unowned and open doesn’t mean it actually is. So if you simply pull off the side of the road in a desolate-looking area, you may, in fact, be breaking the law if you set up camp there. Always check with local branches of the government agencies listed above to ensure that your boondocking site is, in fact, legal to camp on. Doing so will help you avoid an awkward and potentially costly encounter, as well as an unexpected shortening of your planned trip. 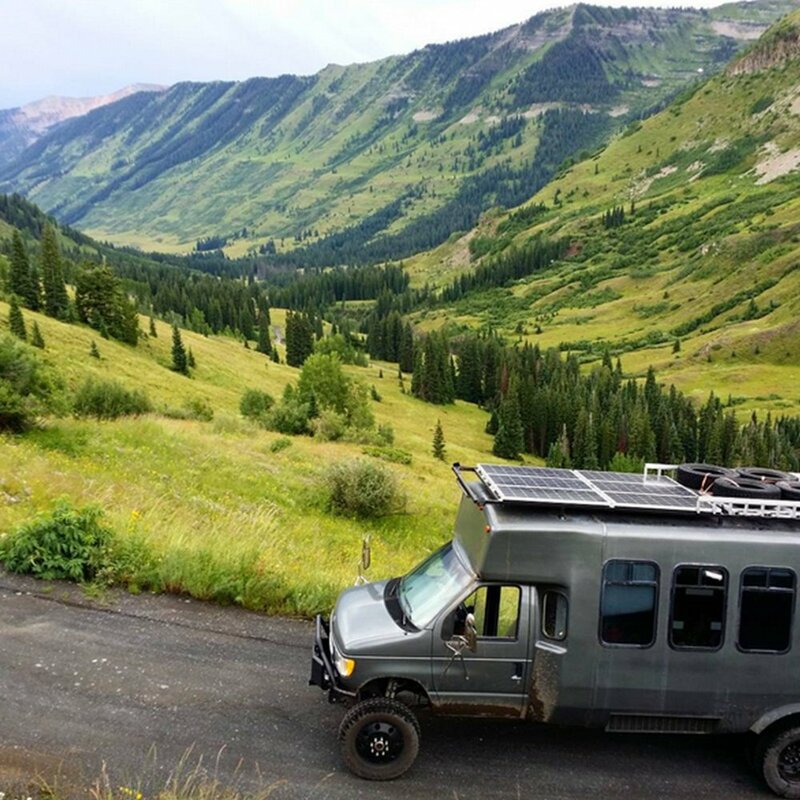 While you can go off-grid in any RV (or even your car, if you’re really rugged! 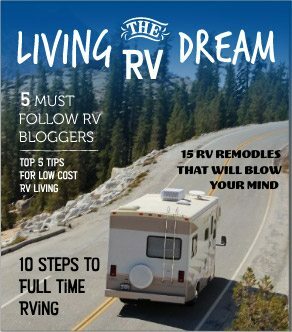 ), you’ll discover that following a few simple RV boondocking tips will help extend your trip — and upgrade your adventure from camping to glamping. Here are some of the most important tips to keep in mind if you want to maximize your off-grid time and enjoyment. This is probably the most important rule to implement for long, happy boondocking adventures. Because when you run out of water, you absolutely must come back to civilization — in fact, it’s a good idea to start heading out well before you run your potable water tank dry. Just in case. The most important tip is to carry extra drinking water on board, so you aren’t relying solely on your in-built potable water tank. 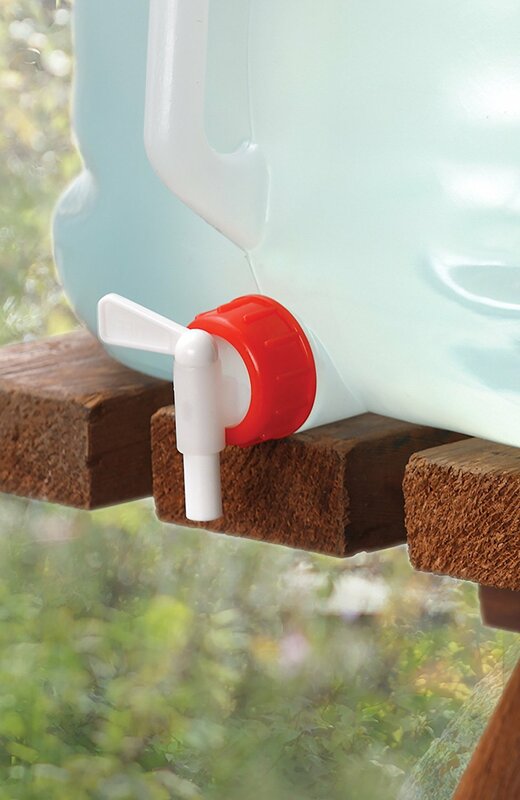 Collapsible water containers are a great way to do this — we’ll go over them in more detail just a little bit further on in the post. But drinking isn’t the only thing you need water for. 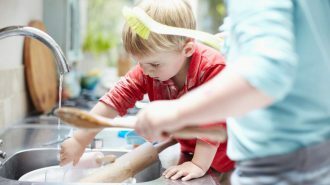 Cooking, cleaning, toilet-flushing and hand-washing all rely on the same source of fresh water, which could be as little as 20 gallons (or even less!) depending on the size of your set-up. Some boondockers save water by using disposable dishware, like paper plates and plastic cutlery, but that technique comes at a trade-off. You may not use as much fresh water, but you’ll end up with a whole lot more garbage, which is both stinky and not super awesome for the environment. The best tactic is to learn how little you need to effectively wash your dishes, and to use only the bare minimum of dishware in the first place. If you want to get really next-level, you can even recycle your gray water to use again. (Gray waste water is the stuff that goes down your sinks and shower — i.e., not the truly nasty stuff you’re flushing down the toilet, which is ominously known as black water.) 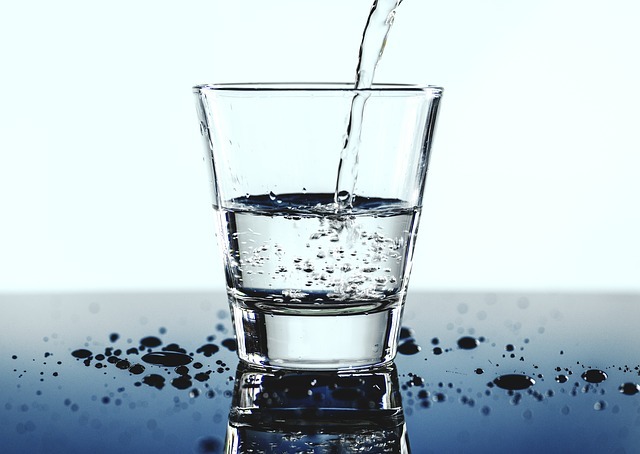 Since gray water is relatively clean, with only soap and food particles, you might be able to reuse it to wash more dishes or perform other basic cleaning tasks. We definitely recommend you don’t shower in it or drink it, however! A final note: The toilet can be a huge water waster. Gallons can go down in the blink of an eye! So depending on how many people are in your party, consider that old, familiar rule: If it’s yellow… well, you know. And maybe carry hand sanitizer rather than washing your hands every single time. 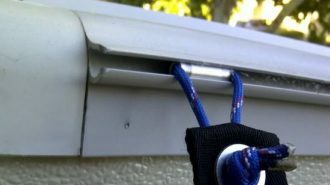 Know how you always put off taking out the trash until the very last minute at home? Well, when you’re out in the wilderness, you don’t have anywhere to take the trash out to in the first place. Dumping it on public grounds is absolutely unacceptable — so as long as you’re out there, you’ll be sharing some of your space with your own garbage. And given the confines of even the largest motorhomes, that can be a smelly situation. This may not seem like a big deal, and it’s definitely a surmountable obstacle. But depending on where you’re camping, your trash can actually become a safety issue. If you’re in bear country, for instance, you’re not going to be able to simply place your kitchen garbage can outside the front door to avoid its odors. Some campers who pull tow-behind vehicles store trash build-up in well-sealed bags in their tow vehicle. Choosing the slightly more expensive garbage bags, with reinforced strength and odor-nullifying qualities, can help… that way, you won’t get into a tow vehicle with the baked-in scent of garbage when it’s time to pick up camp and leave. You might even consider investing in a sturdy Rubbermaid container to help further keep odors at bay. Again, this is a great reason to stick with reusable dishes rather than letting those paper plates pile up. You might also consider avoiding super-smelly recipes with lots of fish or garlic. Keep in mind, however, that you can’t simply stick a solar panel on top of your travel trailer and consider yourself off-grid ready. 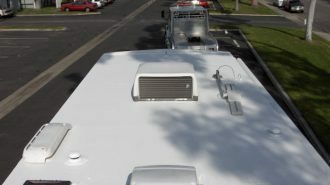 A working RV solar system is comprised of a variety of different parts and connections, and may also require upgrading your RV battery and other components to perform at its best level. 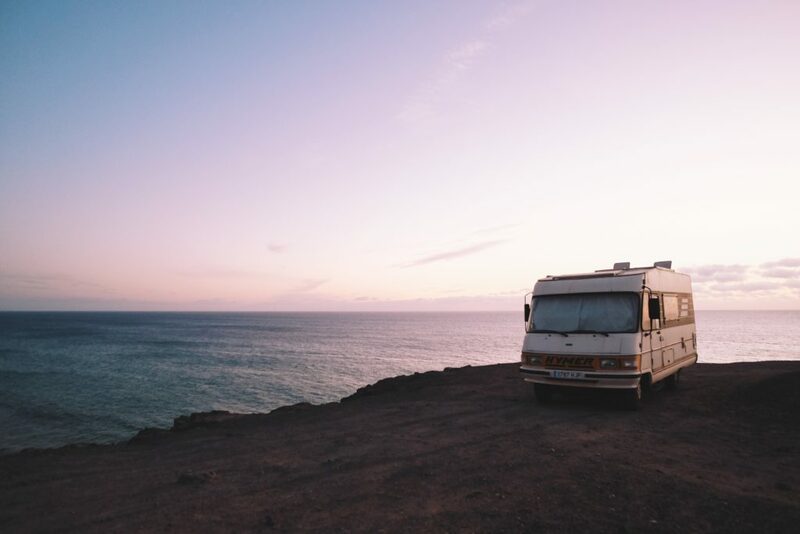 Fortunately enough, we’ve written about all of that for you here at the blog before — so click here to learn more about what you need to know to upgrade your RV to solar. Don’t get us wrong: You can definitely set out for your off-grid adventure with only the bare basic equipment you use for regular trips. But if you’re looking to step up your game, there are a few pieces of gear that’ll make your boondocking RV trip much more convenient and comfortable. Here are some of our best suggestions for affordable add-ons that can make boondocking feel like anything but roughing it. Fresh water is the number one limiting resource when it comes to figuring out how long you can stay off-grid without making a return trip to civilization. 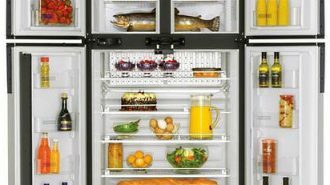 After all, you can cut down the generator and put off fuel, and “nothing to eat” usually means there’s still some dinged-up cans in the back of the pantry… but you can’t even go a few hours without fresh water! Collapsible water containers are perfect for camping for a variety of reasons: they’re affordable, easy to store when not in use, and they even make great weights for your ground tarp or other outdoor equipment. We recommend boondocking with at least one of these 5-gallon guys on board for every member of your camping party. That might sound like a lot if you’re just headed out for a weekend… but you can find them for less than $10 a piece, and better safe than sorry, right? Yes, yes, you’ve seen this guy on our lists of RV kitchen supplies before. But if you’re going off-grid, it’s an even better investment. Why, you ask? Well, because when you’re scrimping on water, making meals in a single pot can be a huge help in avoiding excessive cleanup. From curries and rice dishes to succulent stews, your Instant Pot can make everything your on-board stovetop or oven can make, and then some… and it won’t require using three different pots and pans to do so! 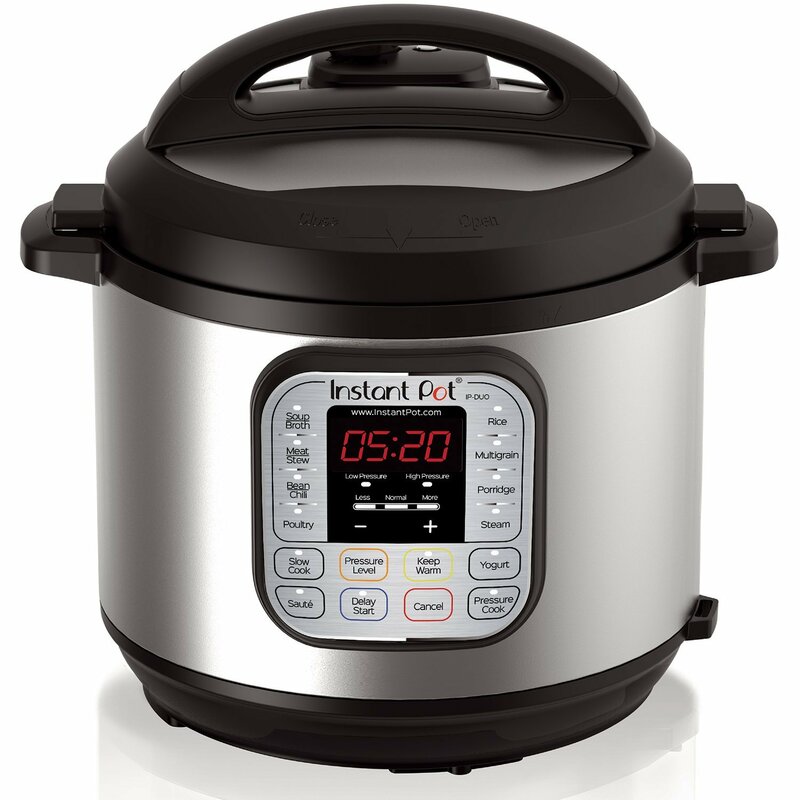 Need more convincing before you buy one — or looking for inspiration for the Instant Pot you already have? We have an entire blog post dedicated to these dutiful little devices. Check it out here. 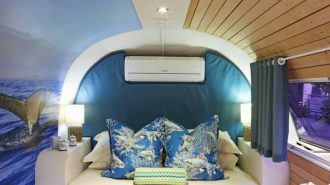 You definitely can run your RV HVAC system while you’re boondocking… but there are a lot of reasons you might not want to. 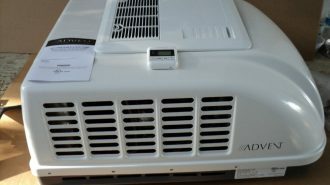 For one thing, it’s pretty much impossible to run an air conditioner without a generator; even a fully-functional solar system might just barely support it, as Jason and Nikki of Gone with the Wynns discovered. 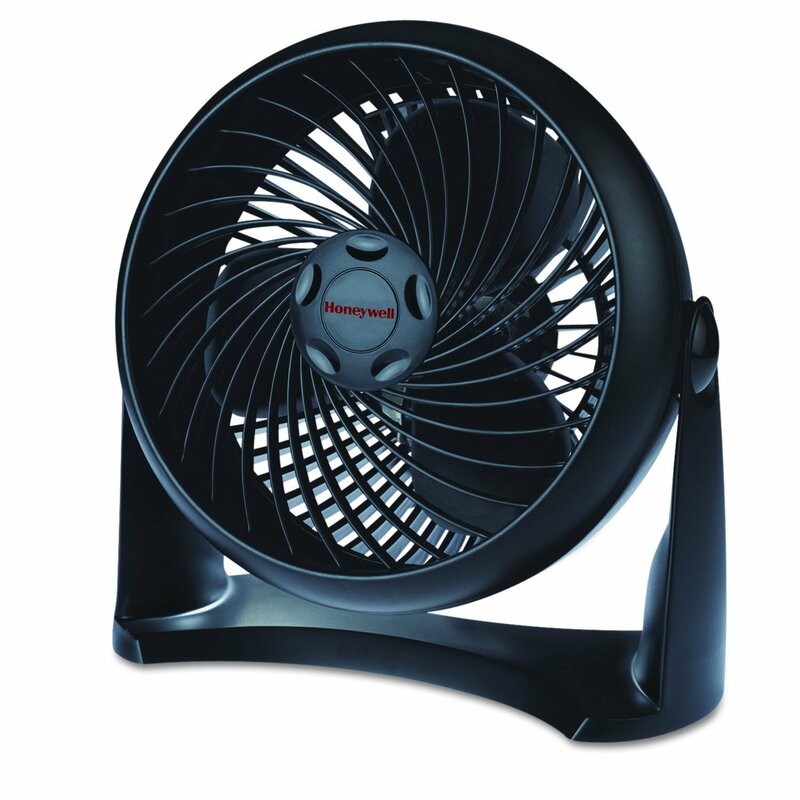 In short, if you can avoid running your generator, we suggest you do so. The easiest and cheapest way is to follow temperate climes — after all, your motorhome has wheels for a reason! Why endure humid heat or bone-chilling cold when you can just ride on along to a place with perfect weather? 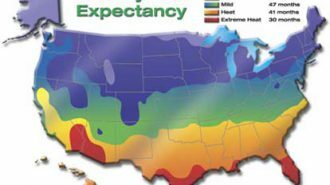 But if your destination does happen to be super hot or super chilly, auxiliary heating and cooling solutions, like fans and space heaters, can help you manage the indoor temperatures without relying on your power-sucking HVAC system. It will depend on the individual device and its amperage rating, of course, but many small fans and heaters can be run off solar power, which will help you save money and our Earth’s atmosphere! Hey, listen. Even the bravest among us can get a case of the willies when we’re out in the middle of nowhere in pitch blackness. 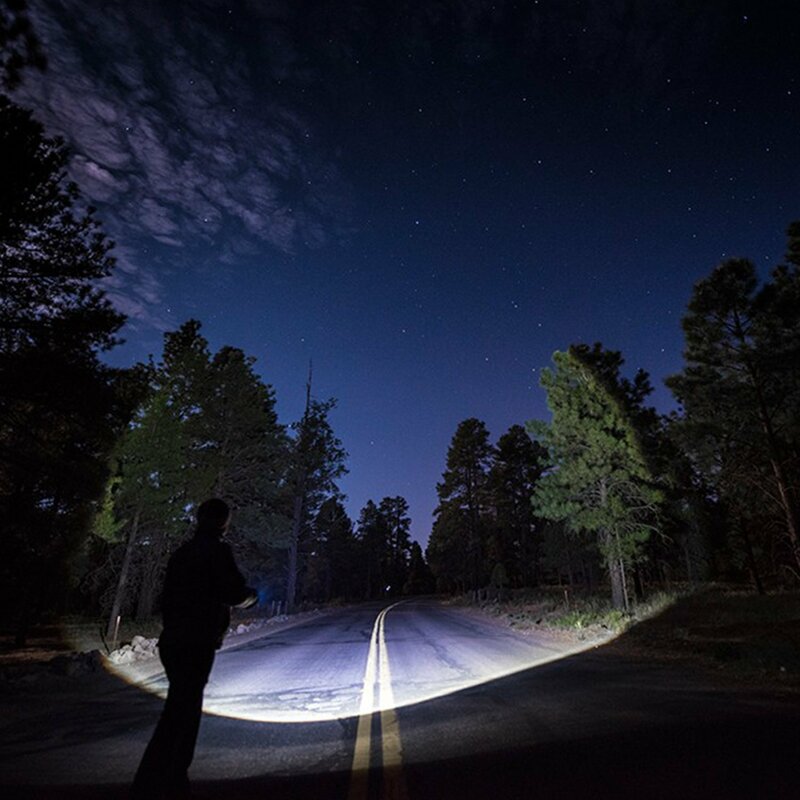 Keeping a heavy-duty flashlight (0r three) on board will help keep you calm, cool, and collected… and help you find your footing when you head outside to do that epic, off-grid stargazing you just can’t get anywhere near the city. We hope this post has helped orient you to the wide and wonderful world of boondocking, or off-grid RV camping. As you can see, with a little bit of planning and the right tools along for the ride, getting away from it all isn’t just possible — it’s one of the most beautiful, relaxing camping opportunities you’ll come across as an RVer. Along with the resources we mentioned above for finding boondockable spots, we also recommend you ask around in the community. After all, other campers are the very best resource for learning not only which campsites are open, but which are the cream of the crop. Boondocking also gives you the unique opportunity to discover a brand-new campsite for yourself. There’s nothing quite like the combination of pride and solitude you experience when you wake up in a place no camper has before — or at least, not one in recorded history. 🙂 If you’re lucky enough to have this experience, you’ll also learn why some regular boondockers are tight-lipped about their very favorite places. If the word gets out too much, those peaceful zones can get filled up fast. As a beginner, we recommend reaching out directly to your state’s arm of the government branches listed above, the BLM and USFS. You can ask the person on the phone directly, “Where’s the best primitive camping near me? Is it free, or cheap?” This way, you’ll also get direct confirmation of any rules and regulations stipulated in order to use the lands for camping. These rules are usually formulated in order to reduce our impact upon the land and preserve it for future generations, so it’s important that you follow them — even if they seem arbitrary or silly. Last of all, don’t forget the most important part: enjoy your time away from life’s craziness! It’ll be waiting for you when you get back, so give yourself permission to totally unplug and be completely in the moment.